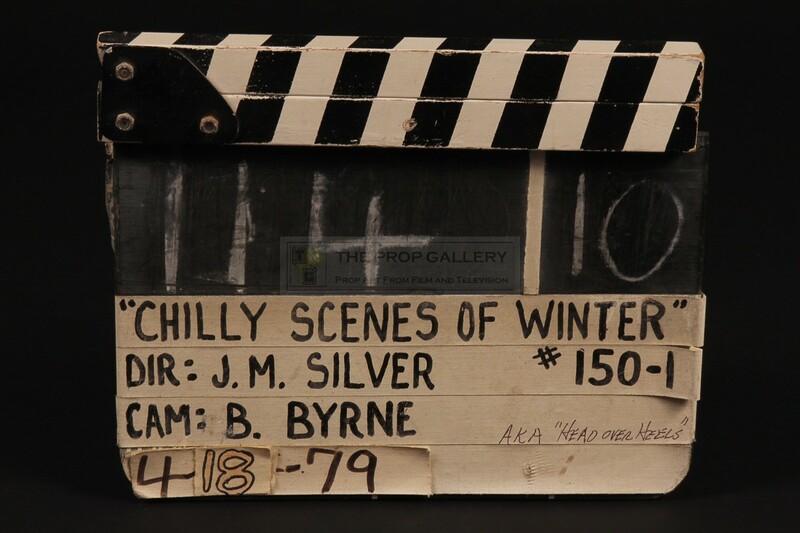 An original clapperboard used in the production of Chilly Scenes of Winter, the 1979 romantic comedy written and directed by Joan Micklin Silver. 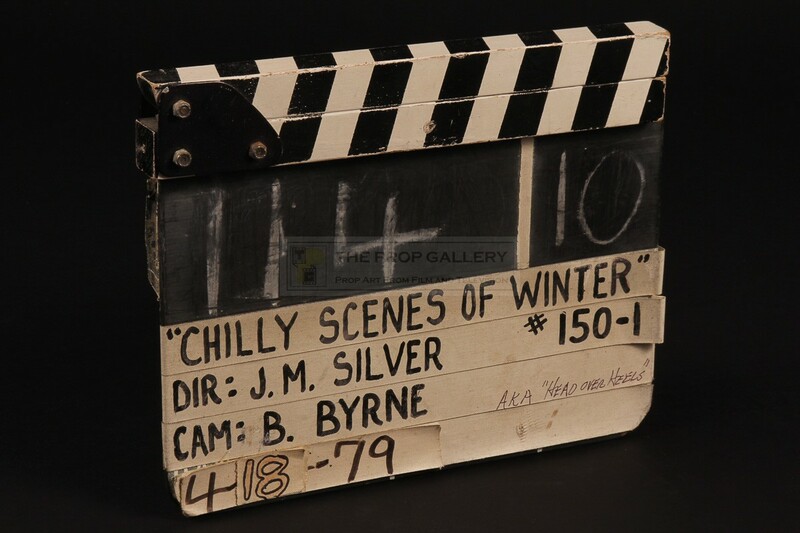 This production used traditional style black wooden clapperboard with hinged clap stick bears the movie title 'CHILLY SCENES OF WINTER' hand inscribed on applied fabric tape with the names of director Joan Micklin Silver and cinematographer Bobby Byrne. The clapperboard features the date 4-18-79 from its last use during the production with further dates present on the differing layers of tape, further to this the board is hand inscribed 'AKA HEAD OVER HEELS' which was the original release title of the movie despite it being based on Ann Beattie's 1976 novel Chilly Scenes of Winter, this name was later reverted to for the 1982 re-release. 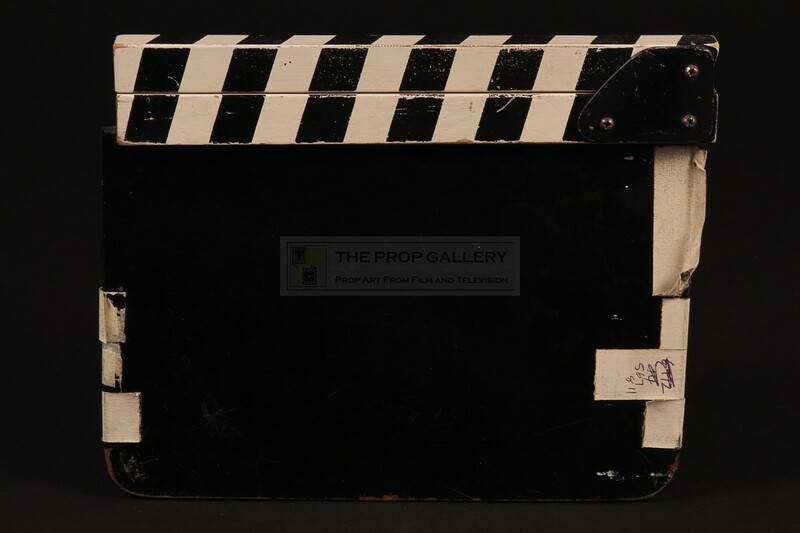 The clapperboard measures approximately 11" x 9" and remains in good vintage condition exhibiting some minor paint loss and edge wear with some of the tape edges lifting in places due to age. A rare example of original production material from this well regarded picture.